How do you find the time to create your course? Finding the time to plan, create, and market an online course. Does this sound familiar for you? Are you also wondering how you can find the time to create your course? There’s no question that this is a big big challenge. But there are some practical things you can do to get more out of the limited time you do have. Some of these we’ve picked up through hard-won experience. Others we learned from experts in time management, such as Elizabeth Saunders, author of How to Invest Your Time Like Money. (Listen to our full interview with Elizabeth here). Tip #1: It’s not about “having more time,” it’s about making the best use of the limited time you do have. 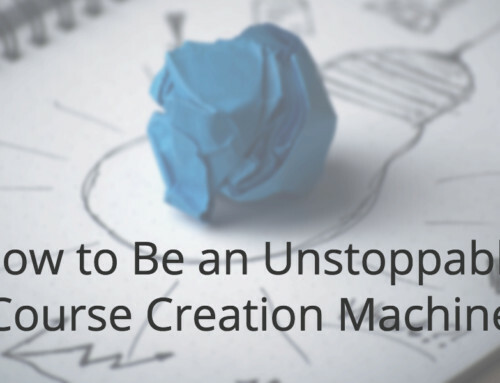 Remember that creating a course is… creative! And when you’re engaged in a creativity activity, you need to get into a creative mindset. It’s almost a meditative state of mind, in which you have higher-level awareness. To achieve this state, you need to block out longer periods of time and really devote yourself to this work — perhaps once or twice a week. You should also be as “disconnected” as possible — disable interruptions like email or Facebook, and consider shifting into a different environment such as a coffee shop. Tip #2: Finding time to create your course starts with making choices. We want to be very intentional about how we invest our time. The first step is to really stop and reflect on what’s most important to you. If you’re having trouble finding time to create your online course, a first step would be to review all the activities on which you’re currently spending your time. Then ask how your course truly fits into your set of priorities and projects. If you say your course is a top priority, yet other activities are taking more of your time, then you can start to figure out how to spend less time on the lower-priority activities. Tip #3: Replace time debt with time investments. Many solopreneurs are in “time debt,” meaning you have committed (internally or externally) to more meetings and projects than you could possibly handle. A great first step is to reduce this debt by reducing meetings with clients or partners, or phasing out projects that are “nice to haves” rather than crucial to your business. Next, you can create “automatic time investments” through consistent scheduling. An automatic time investment could look something like this: “Every Wednesday afternoon from 1pm to 3pm, I’ll focus on my course.” When the time comes, you know that’s what you need to focus on in the moment. Now it’s your turn. 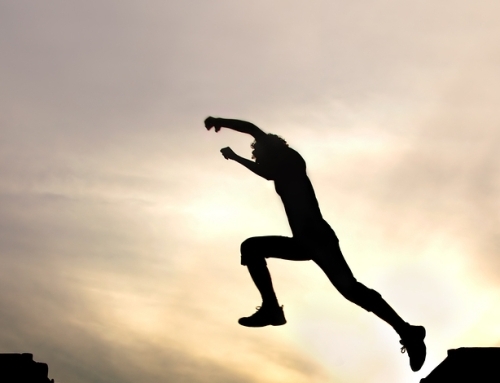 How can you apply these tips to make time for your course creation efforts? 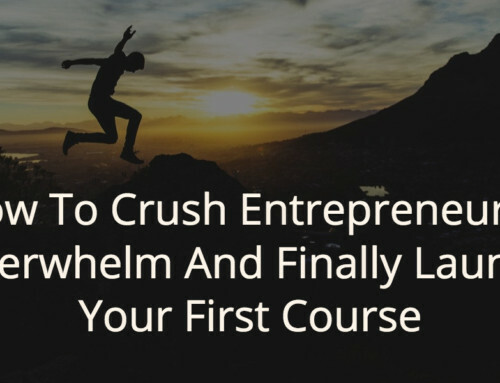 This is a critical first step to get moving on your course idea if you’ve been feeling stuck. It will also help you get the most out of any training program you follow to design a successful course. (Keep an eye out for our upcoming 30 Day Course Creation Challenge — it’s free and will give you clear structure to follow). What is the #1 challenge of course creators?